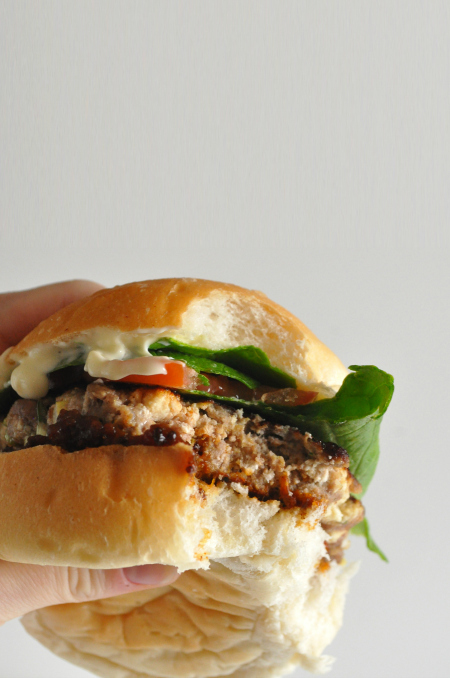 And the easy, tasty dinner revolution continues with these divine burgers. 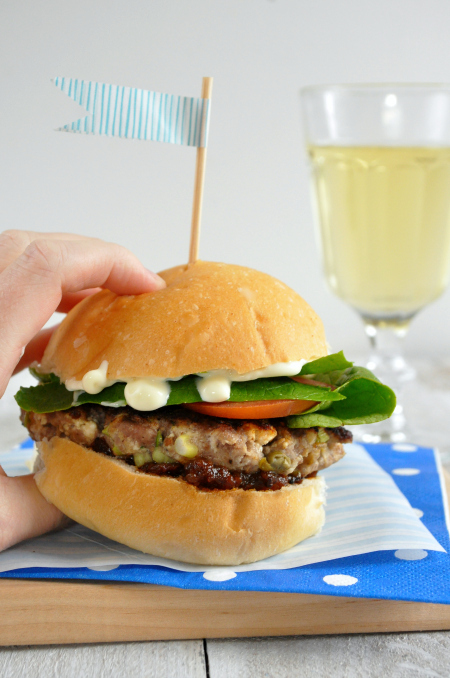 They are so full-of-flavour with the salty kick of the capers and the ricotta adding a creamy juiciness, these burger patties are sure to become a family favourite. In this scene: Blue striped parchment paper and blue stripe washi tape (on flag) from emerald + ella. Combine mince, ricotta, capers, onions, rosemary, garlic, breadcrumbs and egg in a medium bowl. Season. Shape into 6 patties. Heat oil in a large frying pan over medium heat. Cook patties, in batches, for 5 minutes, or until cooked through and golden. Serve in buns with desired trimmings. oOo You can make the patties ahead of time and refrigerate until ready to cook. oOo Try this with lamb mince instead of beef.